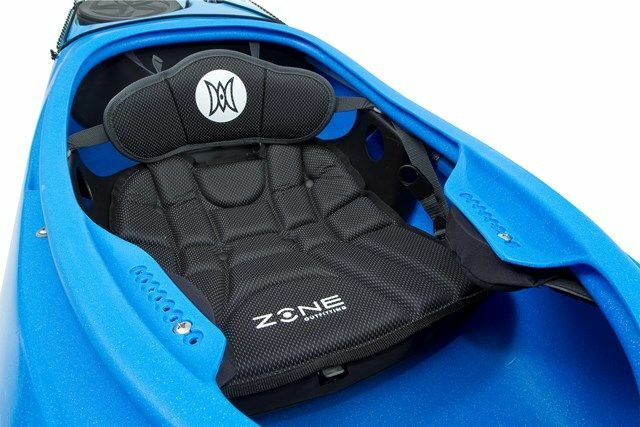 Expression is fantastic and sporty touring kayak with room for overnight gear. Twin hatch, drop down skeg and deck lines! Perception got this one spot on. The Expression 14 is a fantastic sporty, fast & fun touring style kayak that is responsive yet still manages to retain a solid user friendly feel. The cockpit is well proportioned and gives you real confidence to go and explore anywhere. The Perception Expression has ample storage for over night trips and the drop down skeg keeps tracking nicely under control. If you’re looking for a kayak to progress your paddling this is well worth a demo. The Expression 14 is ideal if your paddling style suits a slightly livelier and more nimble ride. Snugger ergonomics than the Expression 15 allow for close control and also give a great fit for smaller paddlers.